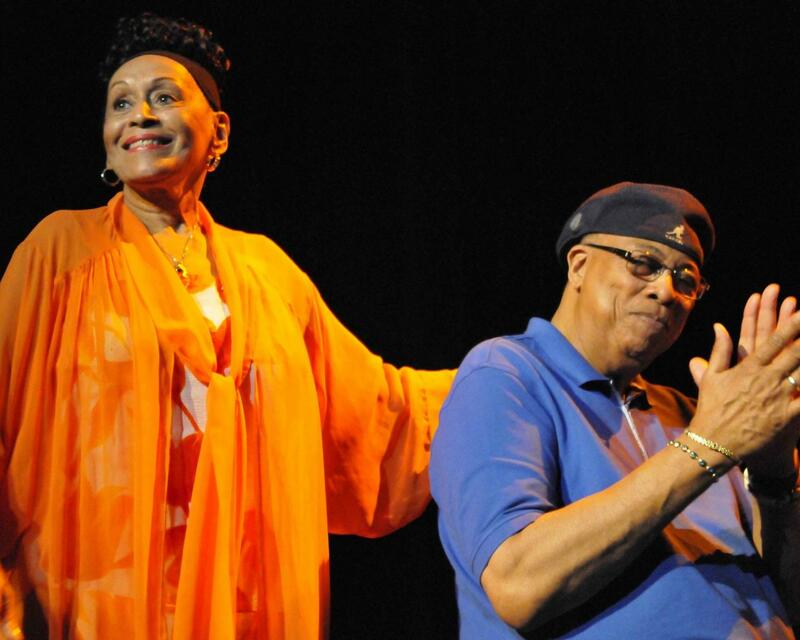 On Tuesday 12th July, Omara Portuondo and Chucho Valdés premiered in Spain their new album at La Mar de Musicas festival in Cartagena. A few months earlier, the festival was pleased to announced that this show would be the duo's debut in Spain - a promise that Omara had made to the festival's director that the album would be premiered at La Mar de Musicas. After the threat of cancellation due to a torrential downpour earlier in the day, the rain cleared and Omara and Chucho performed an outstanding set to a sold out Auditorio Parque Torres. A fantastic show to end their summer tour. Now Omara has joined the Orquesta Buena Vista Social Club ® and Chucho is with his musicians promoting his solo work Chucho & The Afro-Cuban Messengers here in Europe.